Homenew releaseAlyce has a book! Yes, folks, I have officially released my very first Alyce Black book: Ancestral. 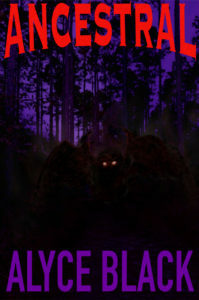 It’s a Southern Gothic flavored horror novel set in an L.A. (Lower Alabama) pecan orchard. My awesomely talented artist hubby, Brent Brown, did the beautifully spooky cover. Ancestral is up for pre-order now, and is set for release on all the usual channels Saturday, Sept. 29. Right now the only live link is Amazon, but I’ll update the others on the Ancestral page as they go live, so stay tuned here or sign up for my newsletter (on the side bar) for the latest news!